With all the exceptional restaurants in Soho, (central Londoners are spoilt with an abundance of good food) Nam – Vietnamese Kitchen on Dean Street still remains a favourite of mine. Compared with other eateries around the area Nam is a tiny, unpretentious gem serving up fresh and tasty Vietnamese dishes canteen style, at a price that’s hard to beat. I recommend the Lemongrass Chicken Bun Noodle. It’s a guaranteed winner. The Bun Noodles and assorted vege are super fresh, crisp and tasty. I’ve eaten it MANY times and the quality of it like their other dishes has always been high. 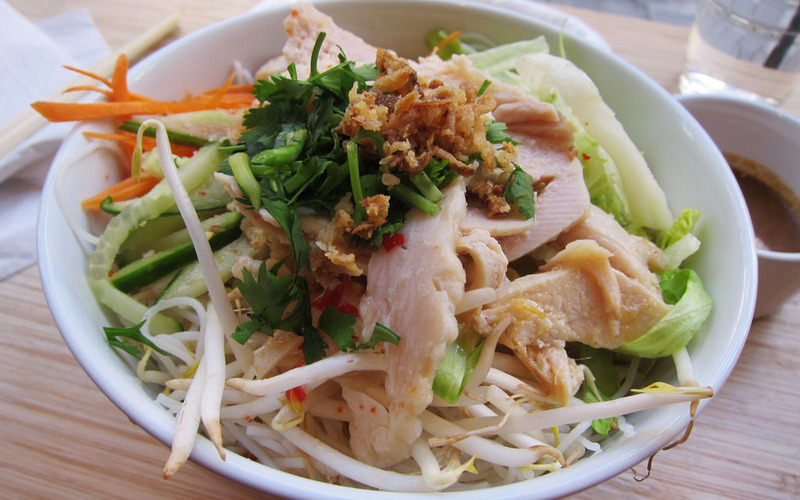 At 5 quid a bowl (a steal in Central London), Nam is a great place for a quick, cheap eat!